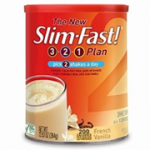 Summary: Slim Fast has several different shake products, so we decided to focus on one — the French vanilla shake mix. It was tough for our staff to get our minds wrapped around its very first two ingredients — sugar and maltodextrin. Once we did, we found a solid amount of vitamins and minerals per serving, and it did taste good (which it should with all the sweeteners!) Slim Fast is a pre-packaged drink which always concerns our staff as this basically means preservatives are added. Although convenient, we believe there are much better alternatives for this price. The convenience of premade bottles has made my life easier but man you pay for it! If you have the time making the shakes yourself it is much cheaper than buying them already made in the cans. And this flavor, the Milk Chocolate is my absolute favorite. I make it in a blender and add half a banana and it is a delicioius shake. I find these shakes definitely keep me full for 4 hours but I need to be prepared with something healthy to eat when that 4 hours is up for miraculously if I let too much time pass I will crave things that are not good for me. Although these have lots of sugar and carbs they seem to taste good and I stay on them. 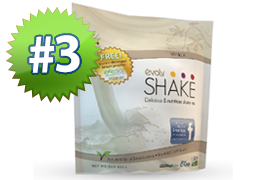 Mass marketing lead me to slimfast…after taking these I found so many other shakes that offer better ingredients..so buyer beware. I tried to stick to the plan as suggested on the can, but I found myself starving most of the day, and ravenous by dinner time, even with snacks. I tried modifying it a couple of ways, and ended up actually gaining weight. I was not over-eating. When I stopped using the Slim Fast and just went to an adjusted calorie diet with more protein in the morning (a Weight Watchers style program), I started losing weight again. I think that these shakes contain far too many carbs, and not nearly enough protein, and they are too sweet, and kind of weird tasting. Unfortunately I put myself on the automatic shipment plan and didn’t cancel before the second shipment came out. What a pain. I am sure there are people Slim Fast works for. I am not one of them as less sugar and more natural ingredients are now much more important to me. I did the prepared Slim fast beofre. But, I could only handle one of thos cans a day. I think Medifast is tough because of the liquid taste for 5 or 6 shakes a day. i couldn’t afford to stay on that one.I have used Lean Body for Hers by Labrada and mashed a banana in there and added some cinnamon for flavor. Was this answer helpful? Why does everyone keep mentioning all the sugars in these shakes? Let’s face it without sugar they wouldn’t taste as good. While its true sugar is non-nutritive these shakes are fortified and contain roughly 1/3rd of your daily requirements for most nutrients. These products are not for someone on a low carb diet but valuable for someone who is on a reduced calorie diet. Finally the price per serving for the mixes will beat most other products hand down. I found these cheaper than most offerings. 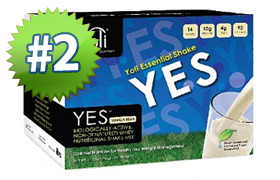 What I have found with years experience enjoying shakes is that these meal replacement shakes taste good but fail to offer any real benefits. More so offer massive fillers and sugars…If you are going to take these may I suggest to add in a serving of fruit or blend it with ice to give it some extra volume. This has an effect on how filling these products will be. I don’t mind all the sugar as taste is very important to me. I found they taste excellent, i always have them as breakfast, easy to use, fast to prepare, take less than 30 sec to finish as I am in the military, and they are healthy. GREAT for breakfast if you’re in the hurry. After my second daughter it’s taken me nearly 2 years to start losing my baby weight. Wow, I’ve tried it all but too much effort is involved any other way. it suits me so well as I really enjoy milk shakes and chocolate. plus i’m lazy – not with my kids, but with myself. 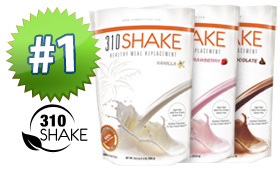 i was skipping breakfast daily – now i look forward to a shake when i get up. i’m definitely hungry 4 hrs afterwards. but i haven’t gone 4 hrs without eating for so long, that’s a miracle within itself! i blend it with loads of ice – the vanilla and chocolate royale flavors are delicious – though the chocolate is also good, but the royale is slightly better (the chocolate is slightly less chocolatey and more milky). i find this easy to stick to – i eat a fair amount at night and also snack at night – weight is still coming off. i’ve been doing it for 6 wks and lost 18lbs (started at 187lbs, now 169lbs) still got 29lbs to go, but not daunted by that any more. this is all done with NO exercise. once it slows down i will try and exercise too. FYI there are so many people now that get paid to write reviews i am always dubious about any good reviews – I want to assure you that i am not being paid. i understand that this diet won’t work for every one as there is a lack of variety – but that’s fine with me as long as chocolate is involved! Who cares about all the sugar it works for me. I did the prepared Slim fast berofe. But, I could only handle one of thos cans a day. I think Medifast is tough because of the liquid taste for 5 or 6 shakes a day. i couldn’t afford to stay on that one.I have used Lean Body for Hers by Labrada and mashed a banana in there and added some cinnamon for flavor. Was this answer helpful? I am currently a size 0-2 and I owe it to slim fast. I used to pig out on carbs and go on candy runs at 7-11 all the time. Whenever I would crave those bad things I drank a slim fast and felt satisfied. I also found by drinking a slimfast before going out to a restaurant I was more likely to order a healthy salad than a juicy cheeseburger. It seems to be a good system for me if I use it as a substitute for cravings. 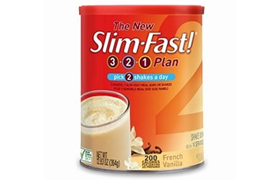 I did the slim fast plan and lost weight,I felt great more energy and it was wonderful only problem when they raise their price I couldn’t afford it and the weight came back. I do believe that if I could’ve stay on it I would not gain the weight back. hopefully slimfast notice that some consumers will be able to buy their product if their consider price. I be the first to start it again. I would recommend it if you can afford it. I purchased the new protein/fiber Slim Fast powder and am very disappointed. It absolutely will not mix to a creamy drink. It has lots and lots of granuals that will not mix up completely. I do not know how to get the money I spent for this refunded . Wanted to try Slim Fast Optima and the diet plan but it contains soy and I have a thyroid autoimmune disease and soy compromises your thyroid and should not be consumed with thyroid problems. I am 40 lbs overweight and desperate!